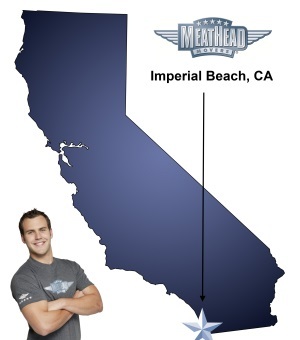 Meathead Movers is here to take care of the heavy lifting for you on your move to Imperial Beach. Our clean-cut student athlete movers are ready to get you safely settled into your new Imperial Beach home. Imperial Beach is known as the place that resembles what the first pioneers saw when they arrived on the West Coast. The terrain is largely untouched, and this makes moving to Imperial Beach an adventure that people cannot have elsewhere. Hiring trustworthy Imperial Beach Movers to move your things to your new home will ensure a smooth transition. As a beach town, you can expect to be able to introduce your kids to surfing, swimming, and sunbathing, but Imperial Beach has even more. It’s where you will find the Tijuana Estuary which is the largest coastal wetland in Southern California and is also an excellent research reserve. The city also hosts many interesting parks like Dunes Park where people partake in volleyball games and enjoy the picnic area. This city even has a skate park that features many types of ramps that skate enthusiasts love. A lovely choice of restaurants line Imperial Beach’s pristine beaches offering people beautiful oceanfront views and first-class meals. If you would like to have a picnic on the beach, these restaurants can even accommodate you. Before you can enjoy the wonderful city of Imperial Beach, you will need to choose a moving company. Our Imperial Beach Movers are the best in the area because our movers are dedicated student-athletes. You can be assured that they are in the best shape and can easily handle your heaviest furniture. As a matter of fact, our movers jog when they don’t have anything in their hands. This makes them the fastest and most efficient movers around. Our company offers you services that you cannot receive from other companies including a moving concierge service that helps you find local service providers such as babysitters, storage units or even a handyman. We can also store your excess belongings in our own climate-controlled storage facility. You can call our company any day of the week even weekends. We are dedicated to helping you at the time you need it, which is something that not all other moving companies can offer. Whether it is a local, long-distance, or commercial move, we will help you every step of the way. Call Meathead Movers today for a no-obligation free quote. With our 100% satisfaction guarantee, the only thing you have to lose is the stress that comes from moving! Moving to Imperial Beach? Here are some helpful resources. View more Imperial Beach resources. Services company provides to domestic violence victims was the primary reason I contacted Meathead overs. Entire process was seamless from initial contact, estimate, loading the truck, and unloading truck. Movers were efficient, courteous, hard working and polite. I would not hesitate to use your services again and would not hesitate to recommend your services.